Die-cast aluminium optical assembly and lid; sodium-calcium tempered sealing glass, thickness 5 mm; 50 Shore black silicone gasket; polished anodized reflector made of 99.93% super pure aluminium. No photobiological risk. This luminaire is in the “Exempt Group” (no risk linked to infrared, blue light and UV radiation) in accordance with EN 62471:2008. 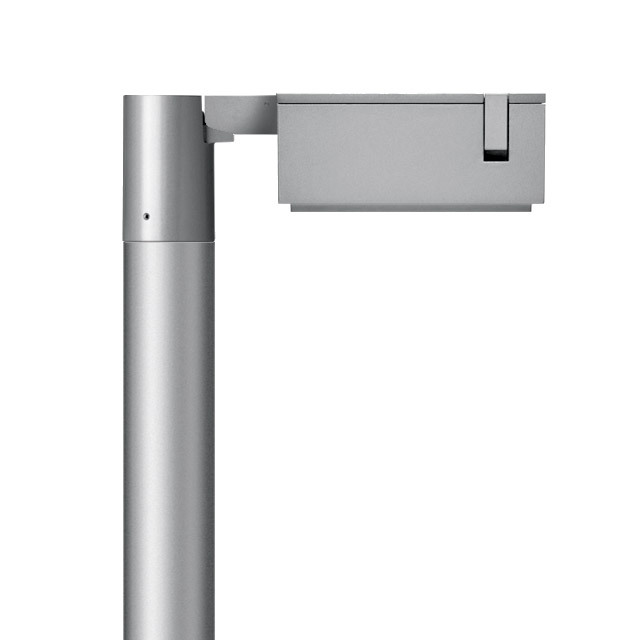 The luminaire has luminous flux emission fully programmable directly from the product driver. Compatibility with Telemanagement systems thanks to “Power Supply”, dual-operation Flux regulator and “LED Driver DALI” (0-10V/1-10V) compatible with the systems on the market. Common mode surge protection up to 10KV. An active control system modifies the current intensity to preserve the luminous efficacy and the lifetime of the LEDs under any ambient temperature conditions.